MAYVILLE – The local effort to change the lifestyles of county residents in order to make them healthier doesn’t appear to be gaining much ground during the past year. The results of the 2019 Health Rankings for all counties in the United States were announced this week, using information compiled by the University of Wisconsin Population Health Institute and the Robert Wood Johnson Foundation. Among 62 New York counties, Chautauqua County was ranked 59th in the category of Health Outcomes. 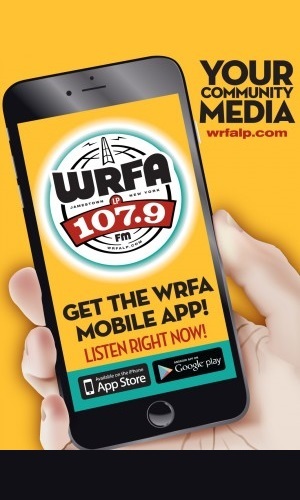 That figure is worse than last year’s ranking, when the county was ranked 58th in the state. It’s also down five spots from 2017, when it was ranked 54th in the state. The report also tracks overall health factors, where the county did see a slight improvement. This year it ranks 55 out of 62 counties in the state – a better position than the the ranking of 57th from last year. But it’s still worse than the ranking of 48th that it obtained in 2017. The report uses various data (or subcategories) to compile its final rankings. 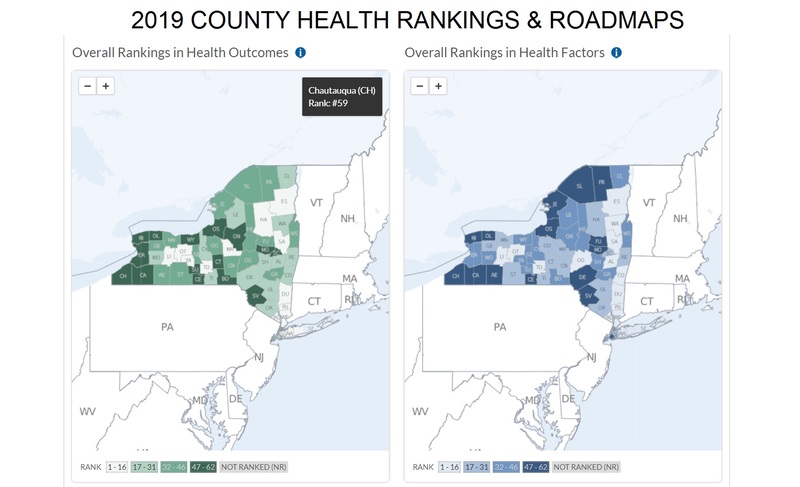 For the Health Outcomes ranking, Chautauqua county achieved the 59th spot in the state due to poor outcomes in a number of subcategories – including the “Length of Life” subcategory, where it finished dead last. For the main Health Factors category, the county finished in the bottom five in the Health Behaviors subcategory – which considers such factors as adult smoking, obesity, excessive drinking and alcohol impaired deaths, as well as teen pregnancy. Despite ranking low in behaviors, the county did rank in the top half of the state for clinical care, showing that residents do have better access to physicians and other healthcare options, with 32 other counties ranking worse than Chautauqua County. The county also ranked high for physical environment, meaning residents have access to better drinking water, have fewer severe housing problems, and have a much shorter commute time to work compared to other counties. However, air quality was worse in Chautauqua County compared to both the statewide and national averages. The online County Health Rankings Report is available at www.countyhealthrankings.org.